Cast your eyes upon the ocean waters as the setting sun displays its dance of color, and you’ll discover all the rich spectral hues of topaz. On its cool side, it ranges from a soft sky blue to the richest and most vivid aqua and greenish blues imaginable. Warmer tones take on the golden hue of a fine chardonnay or the blush of a tree ripened peach. Some of the most rare and exceptional shades of topaz include rich pinks and sherry reds. Known as the November birthstone. In recent years blue topaz has been used as an alternate birthstone for December. It owes its long lasting popularity to many things, but chief among these is its remarkable combination of beauty and affordability. 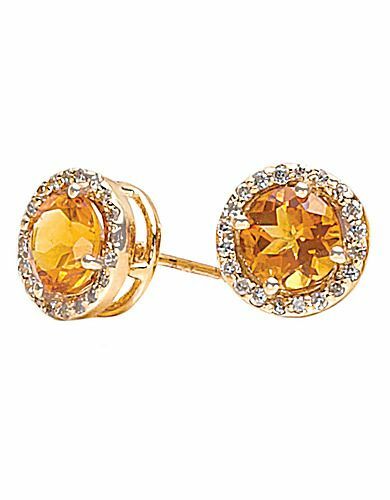 Found in many different colors and sizes, topaz continues today to be one of the Worlds most desirable and sought after gemstone. This gemstone is a hard gemstone that is very resistant to scratching, but because of its internal structure it may break or split if subjected to hard blows or sudden changes in temperature. It should never be cleaned in an ultrasonic cleaning machine. This can be cleaned with most any commercial jewelry cleaner or mild soap and lukewarm water using a soft brush. Other colors range from rich, warm browns to lusty variations of orange and cinnamon. Be sure to rinse and dry your jewelry thoroughly after cleaning. This entry was posted in Birthstone. Bookmark the permalink. Follow any comments here with the RSS feed for this post. Comments are closed, but you can leave a trackback: Trackback URL.